In Venice, a French agent tries to recover printing plates, used to print fake currency, from an ex-Nazi who stole them during WW2. A lonely and bitter young heiress - jealous of her cousin's engagement to another woman - becomes dangerously obsessed with legends surrounding a vampire ancestor, who supposedly murdered the young brides of the man she loved. 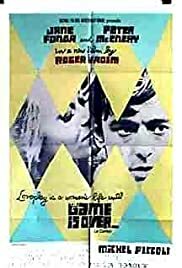 JANE FONDA and PETER MCENERY storm the screen in ROGER VADIM's new film sensation!